During the May 2017 MCM London Comic Con Anime Limited revealed that they would be forming a partnership with Satelite TV Channel Viceland UK in order to show a selection of anime on the channel; with titles such as Tokyo Ghoul and Eureka Seven being mentioned. 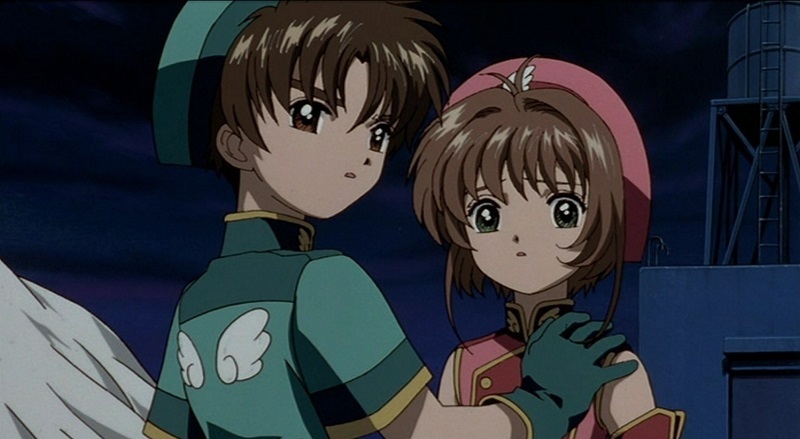 Plot: Relive the classic era of anime with the studio that brought you Escaflowne, Fullmetal Alchemist, and Wolf’s Rain. 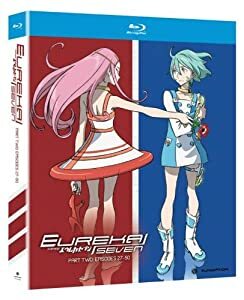 Returning to the spotlight after almost a decade, Eureka Seven – the greatest anime love story ever told – makes its long-awaited arrival on Blu-ray! Renton is a teenager trapped working as a mechanic in a backwater town. He dreams of joining up with a daredevil group of pilots known as Gekkostate and following in his father’s heroic footsteps. 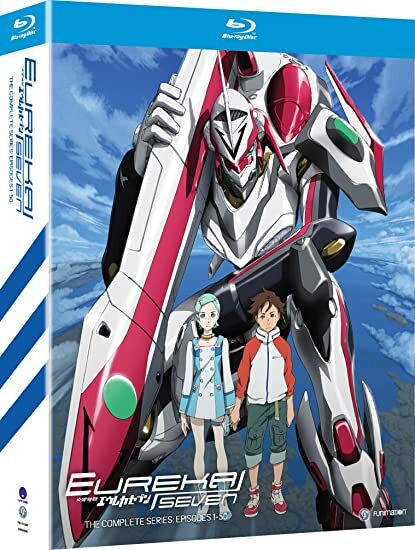 When a mysterious beauty named Eureka shows up asking for a tune-up, Renton soon finds himself drawn into a high-flying mecha dogfight that makes him a target of the military. 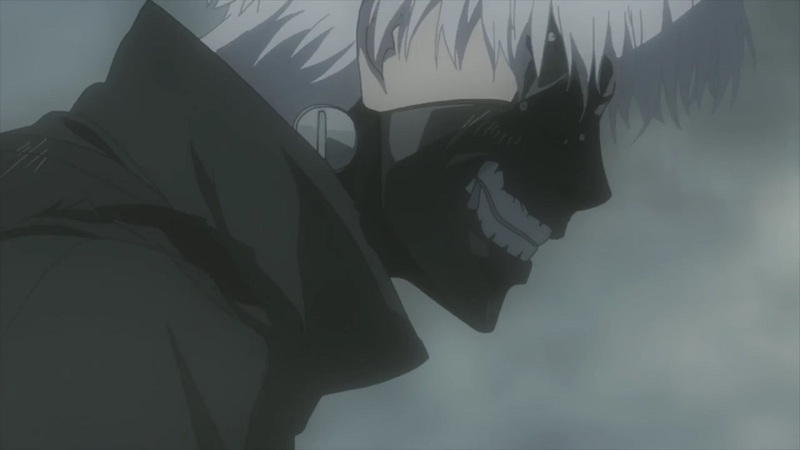 When the dust settles on the spectacular battle, Renton is invited to join Gekkostate, but he soon discovers that even a dream come true has a dark side. 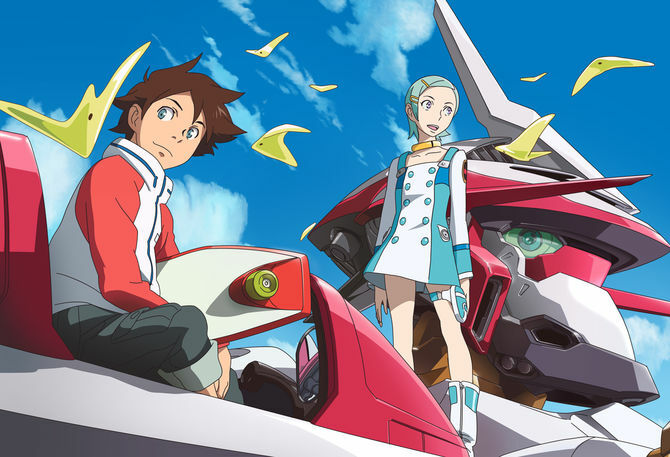 The surprises keep-on-coming from Anime Limited as today the UK Anime Distributor have revealed that they will be releasing the ‘greatest love story ever animated’ – otherwise known as Eureka Seven – onto Blu-ray, and DVD, next year within the UK. Plot: Renton’s adventure continues as the burgeoning hero struggles to balance the rush of young love against an onslaught of riveting revelations. 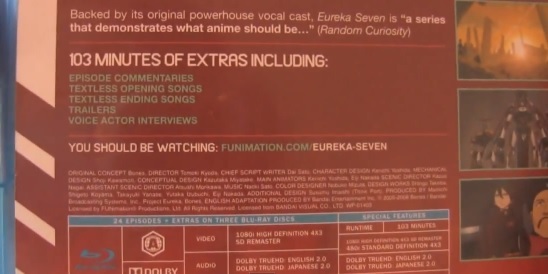 Eureka’s shocking origins come to light, the truth about Norb surfaces, and secrets emerge that force everyone to question their allegiances. As Eureka and Renton finally reach Earth, a mysterious facility hiding tragic experimentation is discovered. 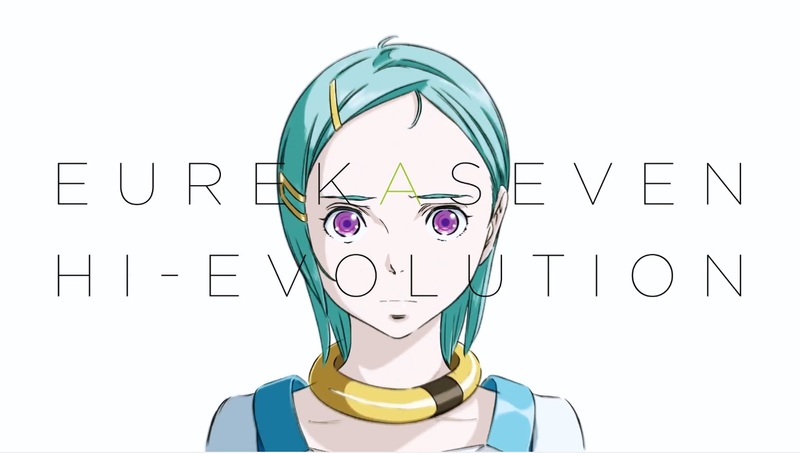 The fate of the world is at stake as Eureka beings her harrowing transformation. Only Renton has the power to save her, but at what cost?